You hesitate to buy a gemstone on our website to create a beautiful pendant, you are afraid that it's might be costly and that the delays are very long ? 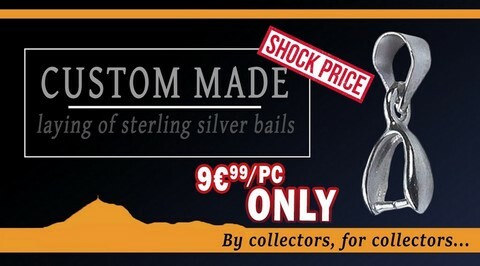 In order to allow you to wear your gemstone directly, we realize the drilling and the setting of a 925 sterling silver bail. 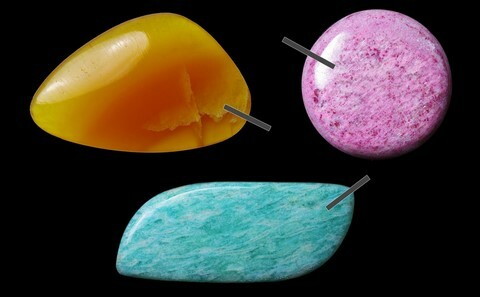 CAUTION - We do not set a bail on faceted stones, precious opals or any other cabochons whose size is less than 15 mm. These need to be setting by a jeweler and not drilled. For any question don't hesitate to contact us. How process step by step ? 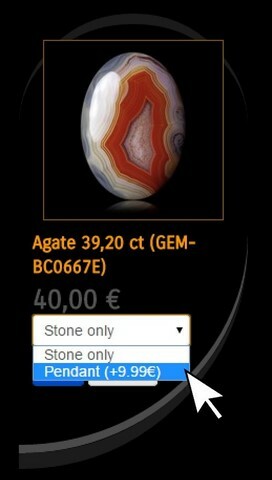 Select a cabochon with the "Pendant" option. Then, the additional price (+9.99€) for the drilling is automatically invoiced. Be careful gemstones that do not display this option are not drillable (faceted gemstones, collection gemstones or need to be set, etc...). Do not forget to write yours instructions in the "comments and instructions" field when entering in your personal details. It is important to specify how you want the gemstone to be worn. Without instruction from you the gemstone will be drilled to be worn as shown in photo on the website (attached by the top). See following paragraphs for more details. If you have forgotten to indicate this information you can communicate them a posteriori by email, sms or phone within one hour after placing the order, after this time the mounting will have already been made and no complaint can be received. Do not forget to check that your instructions appear at the end of the order form before validating it. If this is not the case, click on " 2. Your address" and enter them in the dedicated field. You can also send us your instructions in the hour following the purchase by e-mail (do not forget the acknowledgment to be sure that we have received it), sms or phone call. Attention, passed this delay the installation of the bail could already have been achieved and no claim can be received. Caution - It is not recommended to place a bail on the longest side of a cabochon and whatever its shape because once worn the pendant will necessarily tilt to the right or left in an unsightly way by rubbing against the chain or cord. 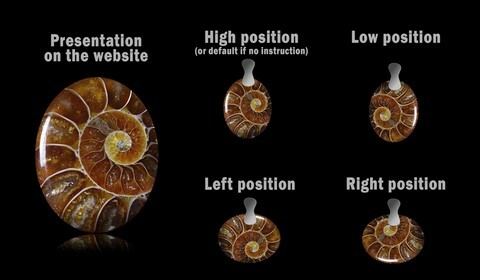 See right illustration. If your request is very specific or the gemstone has a round or fancy shape you can send us a marked photo of the stone as above, so that we put the bail at the desired place. 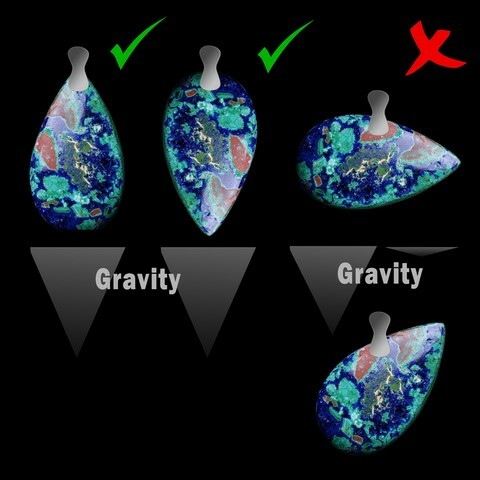 Caution - All cabochons that have been the subject of a request for mounting pendant can not be returned or exchanged. By selecting this option you renounce your right of withdrawal for the products concerned. Thank you for your understanding. * If the jewel is too large and does not fit in a box, it will be sent to you in a gift bag.